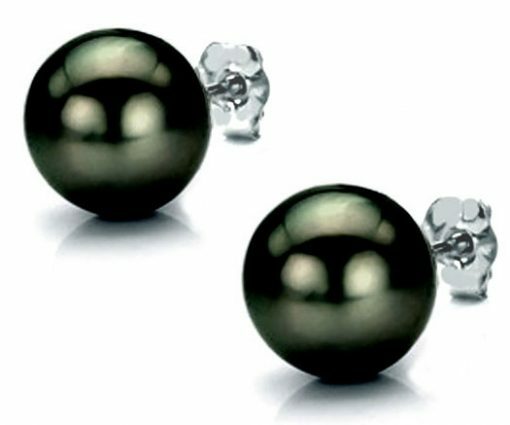 A beautiful pair of high-quality Tahitian pearl earrings in a classical style that will become your family treasure forever. Just the right size, as it is huge enough to be impressive but not excessive. 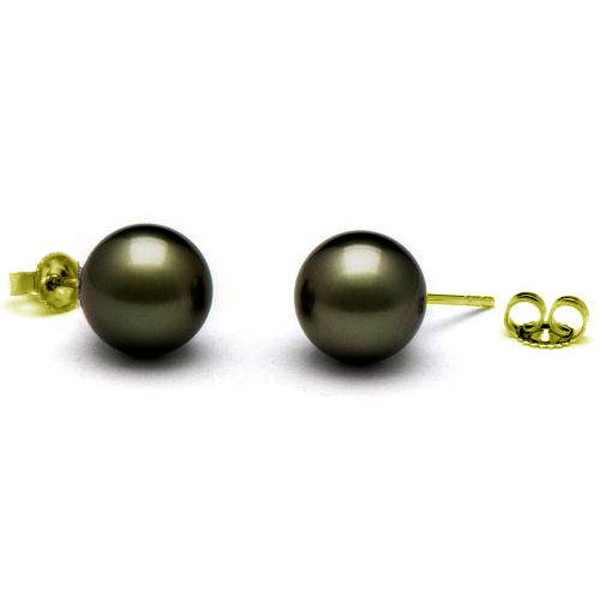 This gorgeous pair of pearl earrings is made of high-quality NATURAL Tahitian pearls in ROUND shape with high AAA- quality, at large 11-11.5mm in sizes, with hardly any noticeable markings, and set in either 14k yellow or white solid gold. 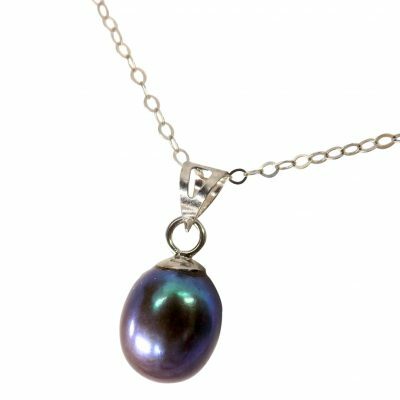 All of our Tahitian pearls are provided by our business partner, directly from the shores of Tahiti in French Polynesia. 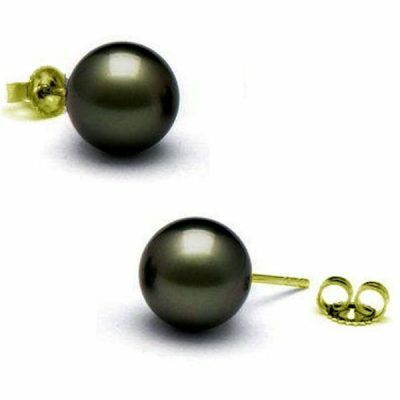 We are offering such a low price for a round shaped Tahitian pearl as an experiment since we often get customer requests for this. 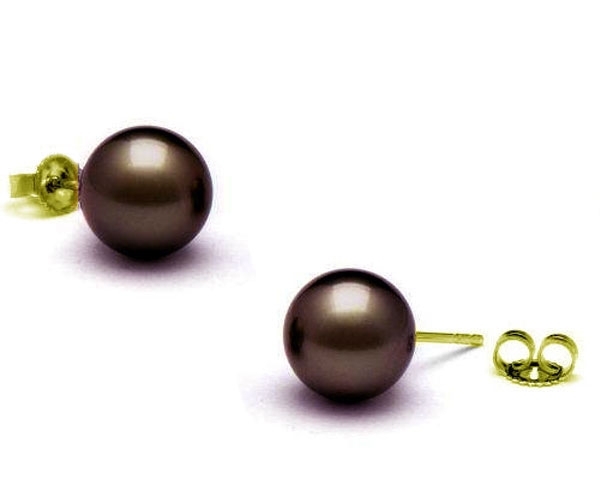 Therefore, quantity is limited and we reserved the right of raising the price or canceling the order. As the picture shows, these Tahitian pearls come with either tahitian peacock overtone or tahitian black overtone, both are the most sought-after-color that only natural Tahitian pearls have. 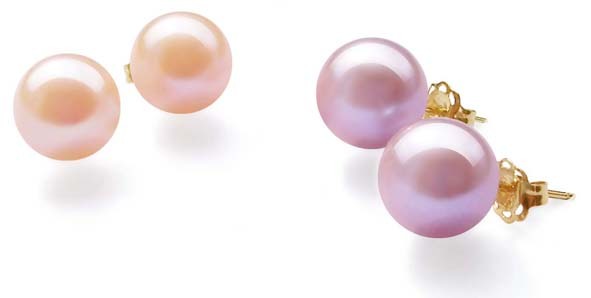 We also have a pair of pearl earrings that has a natural purple overtone available which is quite rare.